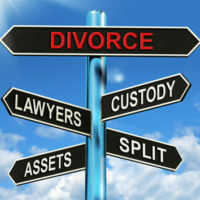 Finances are a major issue in many different types of Florida family law cases. From property distribution battles to child support calculations, a fair ruling requires knowing the true financial means of each party. Of course, as reasonable and straightforward as this sounds, the reality can be far more complicated. Determining the actual financial means of your former partner is not always easy. Indeed, in some cases you may have to deal with suspicions of hidden assets or hidden income. Here, our Orlando family law team discusses the financial disclosures that are required under Florida law along with what you need to do if you have not received the appropriate documents. Parties must provide their partner with a completed financial affidavit. This document is nothing more than a sworn statement detailing income, assets, expenses and liabilities. Depending on an individual’s level of assets, they may be required to submit a short-form affidavit or a long-form affidavit. These completed forms must be provided to both the opposing party in the case, as well as to the court. Additionally, they must be completed accurately, or sanctions may follow. Any other documents that are reasonably related to the issue at hand. Once again, copies of these required documents should produced to both the opposing party and to the court. What if the Documents Are Not Produced? It is clear from the rules outlined above that detailed financial information and documents should be produced. However, unfortunately, in the real world, things do not always operate so smoothly. Ideally, your former partner will simply produce the required documents in a timely manner, as they are compelled to do under the law. However, in far too many cases, that simply does not happen. If your ex-spouse or former partner is dragging their feet on producing financial disclosures and documents, you need to take proactive steps to rectify the issue. Your attorney should file an immediate request for production and/or a request for admission for the unproduced documents. Whether the financial disclosures are being held back by negligence, or because of intentional acts, you must act. If you fail to take action, you may not get your fair share of the financial assets that you rightfully deserve. Do You Need Family Law Help in Central Florida? At the Law Offices of Steve W. Marsee, P.A., our team always pays attention to every detail of your case. If finances are a contested issue in your separation, whether it is because of asset division, child support or spousal support, we can help. Please do not hesitate to contact our firm today at 407-521-7171 to set up your fully confidential, no-obligation review of your case.